2000 Mercedes-Benz SLK 230 Kompressor - I am a Female, this is my second car. This car is factory supercharged, with 192 HP. 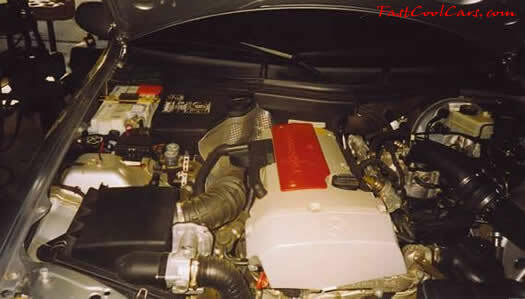 Welcome to the Engines section of Fast Cool Cars. A lot of the pages on this web site have "next" listed on them, (multiple pages). This is a format that I have made, so that the few people that are still on a dial up connection will not have to wait for loading times that are more than a few moments. There are many pictures posted on each page, they are all thumbnails that can be enlarged by clicking on them. There are many people and their Fast Cool Cars listed here. We also have a interior, and wheels page for your Fast Cool Cars. We have many other sections for your enjoyment, check them out.